The next Poetry Atlanta Presents… is Monday, Feb. 1, 2016 at 7:15 p.m. in collaboration with Georgia Center for the Book. Our readers will be three noted Atlanta poets who have recently published collections – Beth Gylys (Sky Blue Enough To Drink) , Christine Swint (Swimming This) and Diana Anhalt (Because There Is No Return). Books will be available. 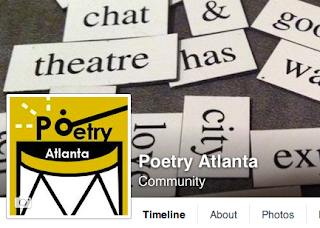 Join us for the first Poetry Atlanta Presents... of 2016! The event will be held at the Decatur Library, 215 Sycamore Street, in the downstairs auditorium. The reading is free and open to the public and books will be for sale. You’ve had the turkey, dressing, casseroles, desserts, time with family and friends and all the naps you could manage. But the holiday season isn’t truly underway without the literary festivus that is Poetry Atlanta’s Voices Carry. Held in conjunction with Georgia Center for the Book, this year’s reading features Cecilia Woloch, Michelle Castleberry, Melisa Cahnmann-Taylor, Theresa Davis and will be hosted by Collin Kelley. The reading will be held Monday, Nov. 30, 7:15 p.m. at the DeKalb County Public Library in Decatur, 215 Sycamore Street, in the lower level auditorium. There will be plenty of free parking in the deck. 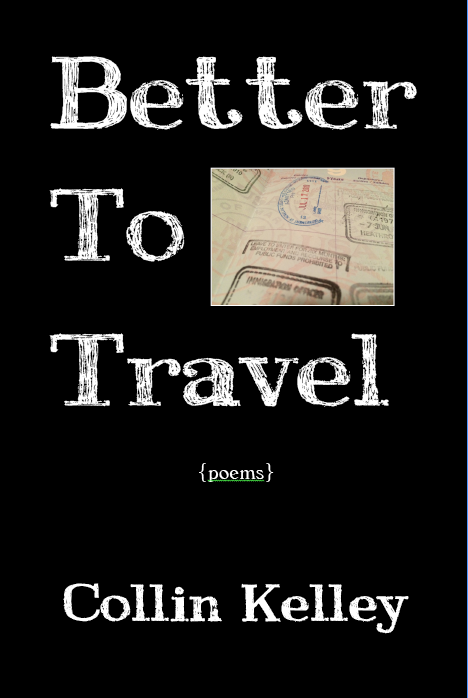 Books from the program’s poets will be available for purchase from our friends at Charis Books and More/Charis Circle. Poets Lynn Alexander and Liz Garcia are featured in the 7th Annual Johns Creek Poetry Festival to be held Saturday, Nov.14, 10:15 a.m. to 1:30 p.m. at the Northeast/Spruill Oaks Library, 9560 Spruill Road, in Johns Creek, GA.There will also be a book fair, poetry workshop, and open mic. Free and open to the public. For further info contact: ronboggs@hotmail.com. A free reading by three award-winning poets . No tickets or reservations required. The Paper Museum is at 500 Tenth Street, NW Atlanta, GA 30309. Plenty of free parking available just in front of the building's entrance or through the gate, which is straight ahead as you turn off 10th Street. www.poetry.gatech.edu. Award-winning poets Cecilia Woloch, Theresa Davis, Melisa Cahnmann-Taylor and Michelle Castleberry will be the featured readers at the 11th annual reading co-sponsored by Georgia Center for the Book. The reading will be at the Decatur Library auditorium, 215 Sycamore St. Collin Kelley will host. The reading is free and open to the public. Charis Books & More will be selling books by the authors. There will be poetry galore all Labor Day weekend-long with readings on the poetry stage at Java Monkey Coffee House and special readings and appearances by Saeed Jones, Denise Duhamel, Maureeen Seaton and many, many more. See the full schedule of events at www.decaturbookfestival.com. Admission $5 (free for Callanwolde members). Free parking. The reading will be held in the library which is on the first floor of the mansion. Free refreshments and a book signing will follow. For more information call 404-872-5338 or go to www.callanwolde.org. Joseph Harrison is the author of four books of poetry, The Fly in the Ointment (20th anniversary edition, 2014), Someone Else’s Name (2003), Identity Theft (2008), and Shakespeare’s Horse (2015). His honors include an Academy Award in Literature from the American Academy of Arts and Letters and a fellowship in poetry from the Guggenheim Foundation. He is the Senior American Editor for Waywiser Press, and the editor of The Hecht Prize Anthology. He lives in Baltimore. Julie E. Bloemeke of Atlanta earned her MA in American Literature from the University of South Carolina and her MFA in poetry from the Bennington Writing Seminars. Her manuscript Slide to Unlock recently placed as a semifinalist in three book prize contests. In May 2015 she won the ekphrastic poetry competition at the Toledo Museum of Art where her work will be on display until the fall. Her poetry has recently appeared in Chautauqua Literary Journal, Drunken Boat, Poet Lore, The Raven Chronicles, and elsewhere. The new series kicks of Oct. 1 with William Corbett and Ellen Bass. See details and the full schedule at http://poetry.gatech.edu. 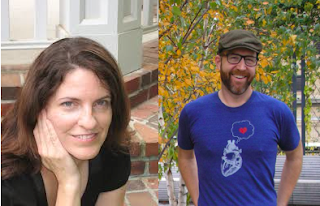 Join Poetry Atlanta and Georgia Center for the Book on Wednesday, July 29, at 7:15 p.m. for the next Poetry Atlanta Presents… reading featuring Lynn Pedersen and Brent Calderwood. The reading will take place at the Decatur Library, 215 Sycamore Street. The reading is free and open to the public. Books will be available for purchase. Lynn Pedersen’s poems have appeared in numerous journals and anthologies including New England Review, Ecotone, Southern Poetry Review, Borderlands, and Other Countries: Poets Rewiring History. She is the author of two chapbooks, Tiktaalik, Adieu (Finishing Line Press New Women’s Voices Series) and Theories of Rain (Main Street Rag’s Editor’s Choice Chapbook Series). Carnegie Mellon University Press is publishing her collection The Nomenclature of Small Things in 2016 as part of the Carnegie Mellon Poetry Series. She is a graduate of Vermont College of Fine Arts. Her website is www.lynnpedersen.wordpress.com. Brent Calderwood is author of The God of Longing (Sibling Rivalry Press, 2014). His essays and reviews have appeared in the Chicago-Sun Times, the San Francisco Examiner, the Chapel Hill Herald, the Hartford Courant, and elsewhere. He is Literary Editor for A&U Magazine. He has been awarded grants and fellowships from Poets & Writers magazine, San Francisco Public Library, the Lambda Literary Foundation, The Squaw Valley Community of Writers, The Napa Valley Writers Conference, and the Horizon Foundation, and he has been interviewed about his writing, music, and political causes for film, television, and radio. www.brentcalderwood.com. Tuesday, April 7, 7:15 p.m.
Georgia Center for the Book hosts Williams, who will read from his latest work "The Color of All Things: 99 Love Poems." 215 Sycamore St., Decatur GA. www.georgiacenterforthebook.org. Wednesday, April 8, 8:00 p.m.
Carson and Hutto will read from their latest work. $5 General Admission: $3 Students with ID, Seniors, and Members. For more information call 404-872-5338. www.callanwolde.org. Poet/musician Kodac Harrison performs his work with The UpBeatniks as part of the Oakurst Jazz Series at The Solarium, 321 W. Hill Street in Decatur. http://oakhurstjazznights.com. Friman (The View From Saturn) and Wright (Tree Heresies) will read and discuss their work at this event sponsored by Georgia Center for the Book. 215 Sycamore St., Decatur GA. www.georgiacenterforthebook.org. Thursday, April 30, 7:15 p.m.
Volpert will read from her new chapbook "Order Sutra," while Covey will read from his latest work. The event, a partnership with Georgia Center for the Book, is free and open to the public. Books will be for sale. 215 Sycamore St., Decatur GA. www.georgiacenterforthebook.org.